Ayrton Senna was a famous Brazilian race car driver that died because of a crash in 1994. 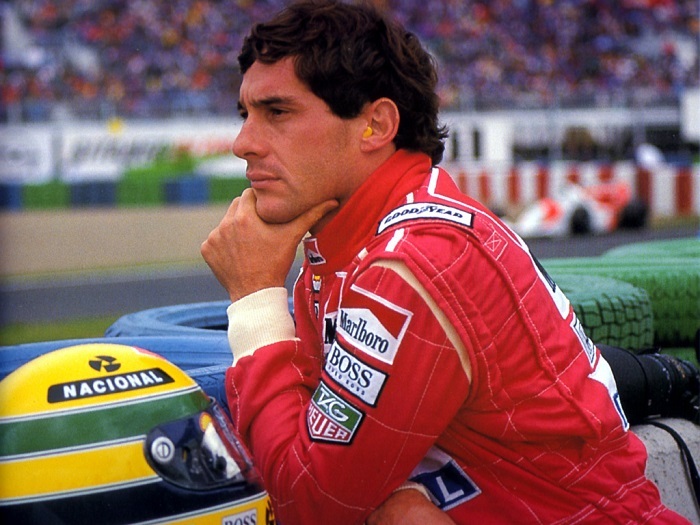 During the San Marino Grand Prix, there are millions of fans who mourned the death of Senna. After 22 years, people from different parts of the world still remember Senna. Formula One has implemented safety measures strictly after the accident of Senna. People miss the presence of the race car driver which is why he is memorialized in different ways. They have preserved the room of the hotel where he stayed the last night that he was still alive. Various charity and sports events also remembered Senna. There are also monuments and symbols created for him. Most of all, he became an inspiration to many people where you can see how much his country loves him. Brett Turnage, one of Senna’s fans has exerted so much effort of perfecting ways in remembering Senna. As a matter of fact, 3D printing performs a major role in his work. Turnage loves the sports since he was young. He lives in Riverside, CA near the remarkable Riverside International Raceway where he usually hears the sound of the engines during the race. Aside from that, Turnage also loves RC cars and technology. According to Simplify3D, Turnage has spent a short period of time to learn 3D printing before creating his first design which is the RS­01 Chassis. 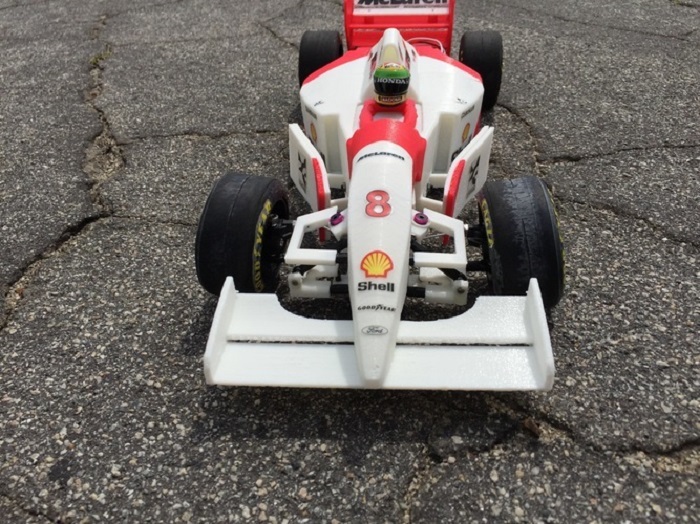 The chassis was made for the Open R/C F1 car and a tribute to the racetrack in his hometown. His project has a tunable RC suspension, an adjustable height for the ride, settings for the camber, and a live axle with an adjustable damper and Panhard bar. 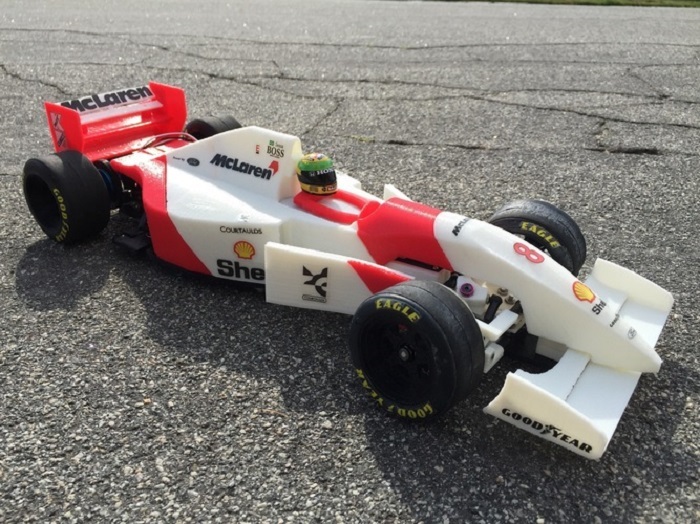 Turnage doesn’t stop there because he decided to build a 3D printed RC car the same with Senna’s McLaren MP4/8. This is considered as one of the most amazing cars used in Formula One Racing. He presented the car during the death anniversary of the race car driver on May 1. This is also the time that Turnage have changed its software and started using Simplify3D. 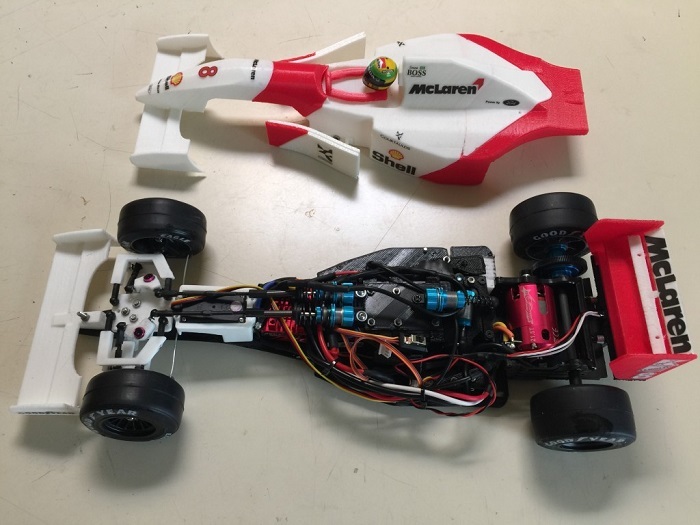 This did not cause any disappointment to Turnage as well as to people involved because they have created the RC car that looks like the real car of Senna. Turnage also produced 3D versions of the suspension parts of RS01 as well as tires and rims. He noticed various changes when he began using Simplify3D. It seems that the machine has the ability to think and see what is around because with the way it moves. He had also created 54 parts that show better quality. He is now sharing the designs to Pinshape and Thingiverse. For those who are interested in making the 3D model of the car, the can simply visit the page of Turnage’s page in Thingiverse. The way on how Turnage remembered the famous race car driver Senna is inspirational wherein he had used technology to create the 3D printed car that will surely put a mark in the history.